In one of the very few times that the design team at Copious had some down time we decided to create our own mini skunkworks project. We have quite the number of die-hard Disney geeks here so we all had great experiences and opinions about the process of planning a vacation. 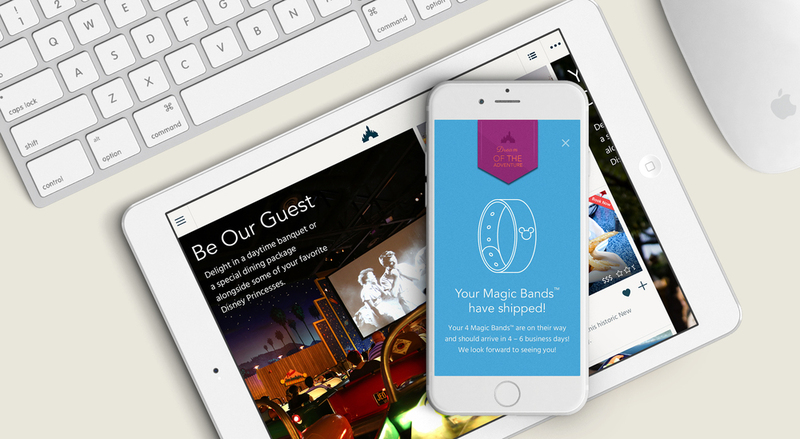 We chose to create a project that reimagined the Disney trip planning experience for an iPad app. We put 3 designers and 2 strategists in a room for 5 days to see what would happen. I am glad to say we all survived. We went into this project with completely open minds and ideas. After going through a workshop utilizing design-thinking exercises we finally devised a strategy. 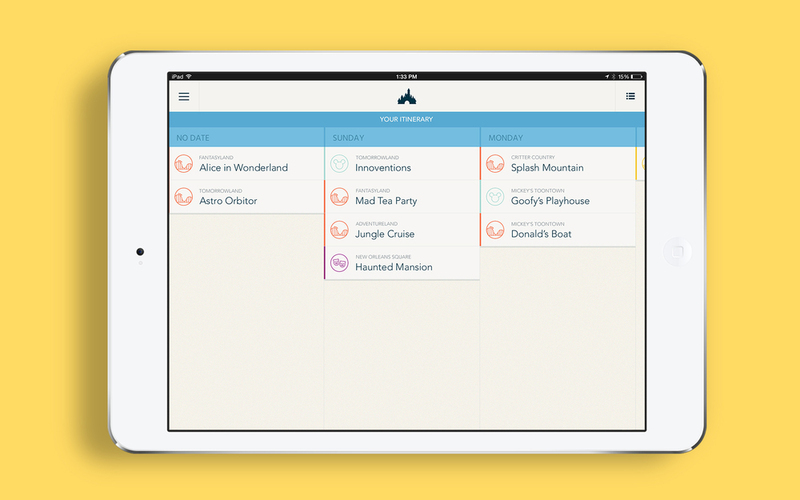 We all knew we wanted something that was more than just a very functional planning app. We wanted the experience of planning a trip to exude all the magical wonder that someone gets from visiting a Disney park for the very first time. 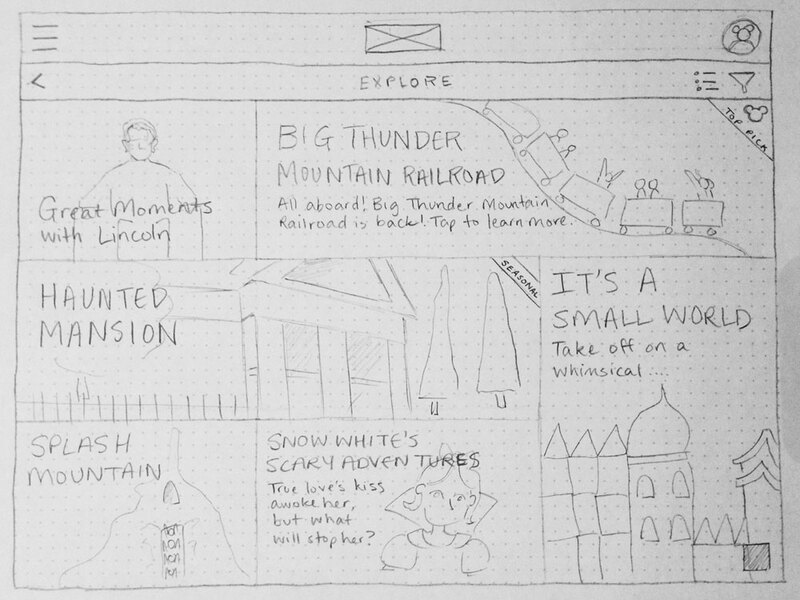 We wanted people to savor the memory of planning their vacation. We all worked together sketching, white-boarding, designing, illustrating, and animating our vision. As a team we completed an exercise where we went through each phase of a trip from the eyes of a park-goer and posted up all the touch-points and pains/hopes/feelings someone would feel as they went through the process of planning a trip, booking, going, and after the vacation. We wanted the user to really feel like they're beginning a journey that is magical so we made the process of setting up an account a series of detailed micro-steps. We wanted planning a vacation to feel unique and tailored to the families planning it. We devised part of the setup process as a configurator that allows the user to add ages of attendees as well as likes and dislikes in regards to type of attractions. After completing the setup process we presented the users with options in terms of which park they could visit, how many attractions they were matched with they could go to and allowed them to edit the amount of days to the vacation. This is the exciting part for families. Exploring all the different rides and attractions the Disney parks have to offer. We wanted people to be able to explore by park areas and filter to their needs. We not only wanted to educate users by giving them information about the ride like speed, thrill-factor, and user rating but we also wanted to surprise them with fun facts that usually only the die-hard fans would know such as how many hidden Mickeys there are in each attraction. 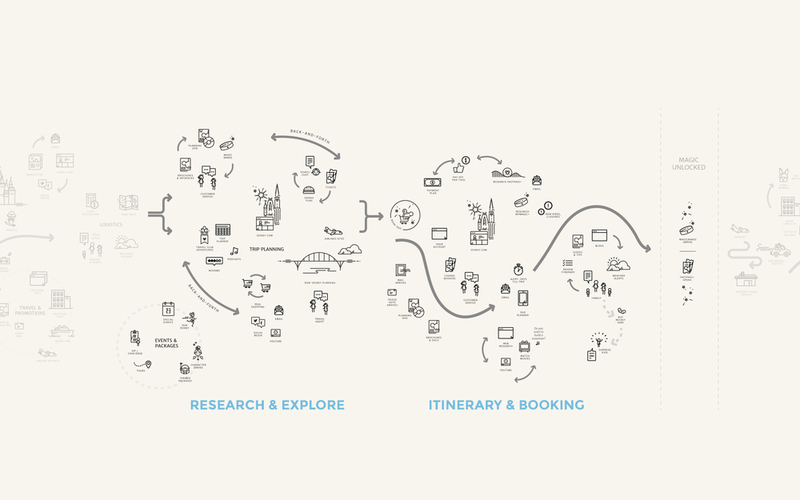 As people build their dream vacation we wanted to give them flexibility in how they plan their trip. Giving users tools to plan their vacation as detailed (or not) as they want. We wanted the cart to feel just as fun and magical as the discovering and planning part of the experience. We didn't want the fun to stop there. We designed milestones leading up to the actual trip to keep the excitement building. We not only spent our time designing the experience in static screens but also in motion. I was in charge of taking our new experience and bringing it to life.